You can carve designs onto your own gravestone. 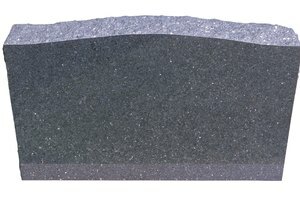 Gravestones are sold by granite or stone dealers or by businesses specializing in monuments for graveyards. 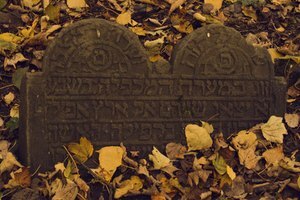 Usually when people buy their gravestones, they have the stones carved or engraved by the employees at the place they buy the stones from. It is possible to engrave your stone yourself, though, if you have the right equipment. You can sandblast your stone or you can etch it with a laser. 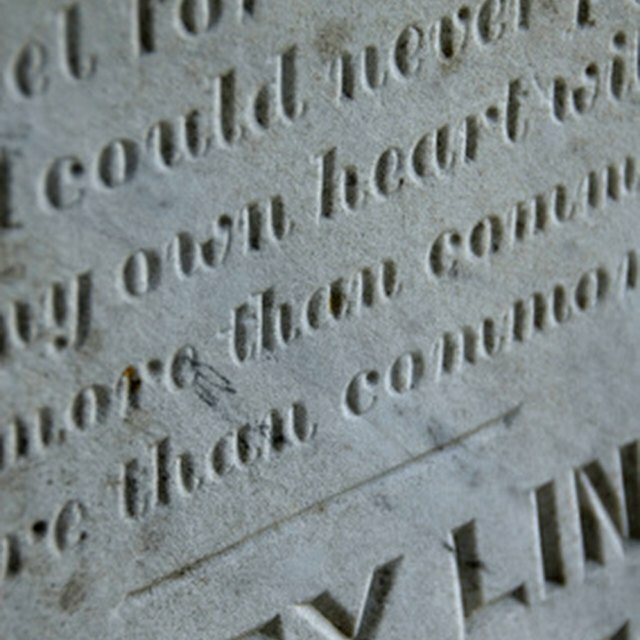 You can use either of this methods to carve text or decorative designs into your gravestone. 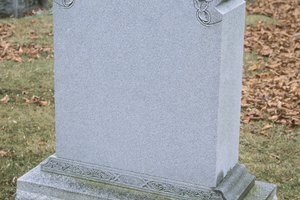 Buy a finished gravestone. This stone might be granite, marble or some other type of stone and will probably be polished. Attach the stencil onto the headstone. Sandblasters use pressurized air or steam mixed with sand to carve out designs and letters. Sandblasting works like erosion only much faster. This method is the right choice for you if you have deep designs you want to cut, rather than just lines to draw. Put on your gloves and eye goggles for safety. Scratch your design into your headstone with either the X-acto knife or a computerized stencil cutting machine. You probably only need the machine if you plan to make a business out of carving gravestones. If you're using an X-acto knife, work slowly and be careful not to slip and cut either the stone or your fingers. Sandblast out the design you've just outlined. Work slowly and carefully to expose the underlying surface of the stone. The slower you work, the deeper your design will be. Buy a finished, polished headstone to etch. Etching looks very nice on polished black stones. Sketch a copy of the design you want to etch onto the stone using pencil and carbon paper. Etching is very easy to do but won't carve your stone as deep as a sandblaster. 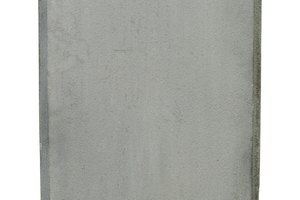 Etching is more appropriate for fine line drawings and text. It looks nice, but won't be as permanent as sandblasting. Trace your design with your laser etching tool. 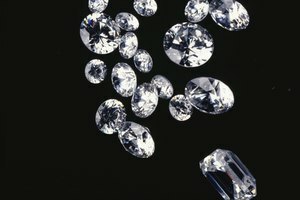 Work slowly and carefully because mistakes are very difficult to repair; you'll have to get your stone re-polished. Go over your text and design as many times as you need to with your laser etcher to make your lines as deep as you would like them. The slower you work, the deeper your lines will be. Hannigan, Elizabeth. "How to Carve a Gravestone." 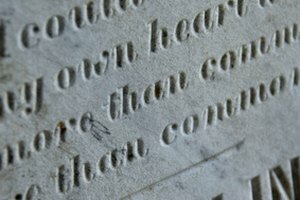 Synonym, https://classroom.synonym.com/how-to-carve-a-gravestone-12081933.html. 29 September 2017.